If your stuck for inspiration this fathers day pop in and have a look around. It is always the Dad's that find something they remember from there childhoods in our shop and buy it on the pretence that it's for there son or daughter. When they come in their eyes like up like little boys as memories of mucking around come flooding back. The top two products that they have to buy when they see them are the spud gun and the rubber band aeroplane. We have lots of new products that have just arrived in stock this week that would be great for Dad. If your Dad is anything like mine then Bottom Trumps would be a great card game to buy him. Each card has a disgusting fart on it with different power ratings and is played like a game of top trumps. We also do a geek version. 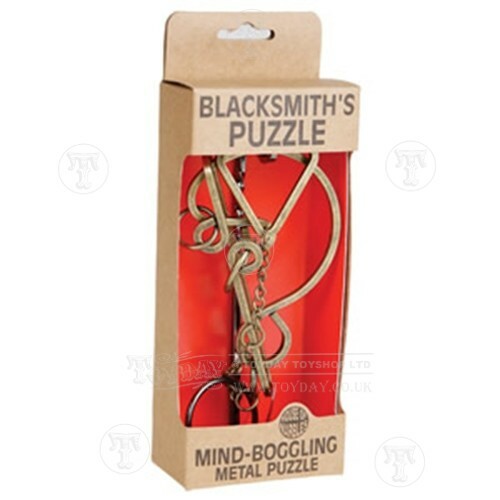 Amongst our new products are brainteaser puzzles. I know some dads love a challenge and this would be the perfect way to keep them entertained on fathers day. We have wooden ones, metal ones and the classic Houdini's Cage. We have something that would amuse any type of dad from desktop toys to blow football. Below is my Fathers Day window display, it looks a bit retro but then so are the Dads its aimed at. Adam spent the best part of a morning constructing the oil tanker out of 1 and 2p's using our coin construction kit. Its a great way of utilising all that small change around the house, you could start a tower and literally watch your money grow as you add to it over time. As you can see from my window we have something for every budget ranging from a £1.99 pac man keyring to a £39.99 Tin Robot. Watch this space though as coming in this week is an RC Monster Truck that Dads will love.